$2,600. $780 Deposit required to begin and is applied toward your first 3 Modules. $2,340 if paid in full up front. Monthly payment plan available. Early Bird discount: $150 off of the full tuition by August 1st. Blue Anjou 200HR Yoga Teacher Training program is designed for students that wish to become certified yoga teachers as well as for dedicated students that are simply interested in deepening their practice and understanding of yoga. 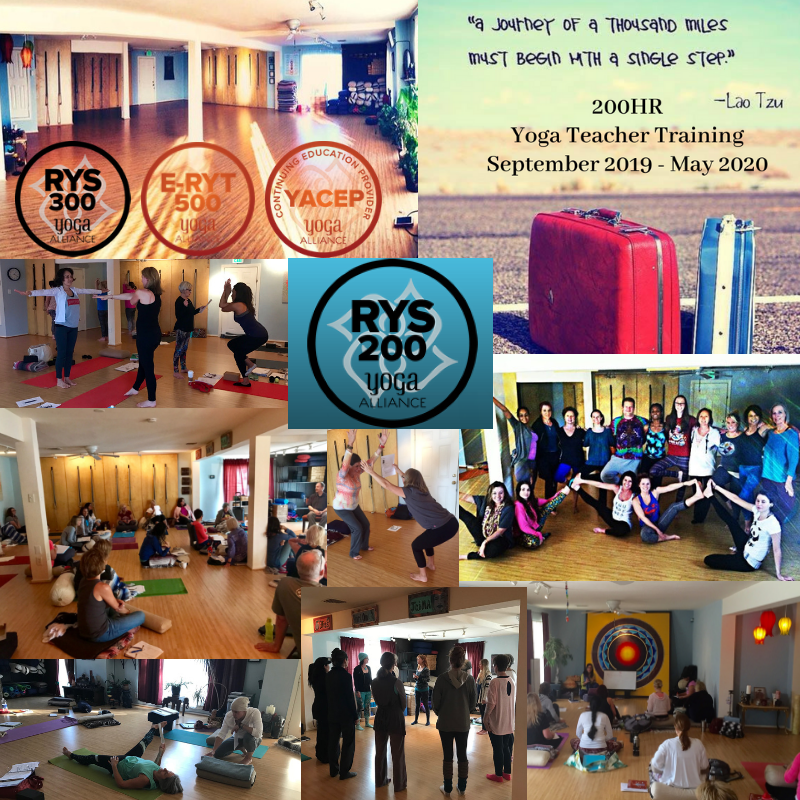 Our 200HR program teaches all aspects of yoga as required for Yoga Alliance RYT certification, and much more! We provide a classical Hatha Yoga training including asana, pranayama, meditation, mantra, mudras, anatomy and physiology, teaching methodology, philosophy, lifestyle, and ethics. Students will also have an in-depth understanding of Ayurveda, the sister science of yoga, the 8 Limbs and Yoga Sutras, and the chakra system. Our training program is unique in that we also teach introduction to Kundalini Yoga, Yin Yoga, Prenatal, Yoga for Beginners, Restorative Yoga, and Yoga Nidra so that our graduates are well rounded teachers that can teach a variety of styles of yoga, and can safely teach all levels of practitioners. Blue Anjou 200HR teachers have years of experience in their fields of study and teaching. Your teachers are Lisa Nicholson E-RYT, YACEP, Debbie Simon E-RYT, YACEP, Yoga Therapist, and Anna Trimm E-RYT, YACEP. In addition, we have special guest teachers who are experts in their field of study including Apita Shah who presents Ayurveda, Melissa Grogan Professor of Voice and Speech, Nicolai Bachman, Sanskrit Scholar, and Kenny Kolter, Sound Therapist. "I always loved taking regular yoga and meditation classes at Blue Anjou. I loved the teachers and their calm and connected method of teaching. When I decided I wanted to persue a yoga teacher training, I simply contacted Lisa and registered. I did not have to read a review about the training because I trusted them. On the first day of training all teacher trainees were introduced and there were students travelling from 20 or 30 miles or more to come to Blue Anjou for teacher training because they had read reviews and found Blue Anjou to be one of the best. Needless to say, every module was dealt with such care and detail. My sincere gratitude to my dear teachers Lisa, Debbie, and Anna." G.S. "The teaching I received at Blue Anjou was above and beyond what I hoped to gain. I would recommend this school to anyone 100 times over!" J.A. "I absolutely loved every aspect of my 200 hour yoga teacher training at Blue Anjou. All modules, readings, activities, group classes, assists, observations, and workshops were mind blowing. The director of the studio, Lisa, and the other two instructors, Debbie and Anna, are extremely knowledgeable and talented. Moreover, they truly make sure to prepare each new yoga teacher in the best possible way. I really appreciate that each of the instructors emphasized the importance of a safe practice for all students and teachers. The other revolutionary emphasis of Blue Anjou that I really valued is that yoga is for all body types not just the young, flexible, and athletic. Yoga for all!. I look forward to starting my 300 hour training at Blue Anjou in the fall." A.B. "My Teacher Training experience at Blue Anjou surpassed any and all expectations and was life changing for me. Blue Anjou is a warm, safe, and nurturing environment. I would recommend it to anyone at any level."M. Students may register for our 2018/2019 Weekend Program or Weekday Program. You may receive a 90% refund 7 days prior to beginning the program. A 10% fee is held for administration and processing purposes. Blue Anjou accepts cash, checks, credit cards, and Paypal.